They are definitely customer service oriented. I’ve stayed and used their meeting facilities many times and love the attention to detail and how accommodating they are. My favourite in Calgary by far. Where to find Chestermere hotels near an airport? 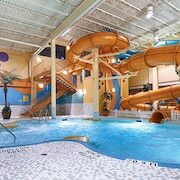 Where can I find hotels in Chestermere that are near tourist attractions? As there's only 1 quality accommodation option within a 0.1 kilometres (0.1 miles) of downtown Chestermere, it's wise booking a room well before you fly. 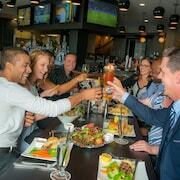 One of only a small number of Chestermere hotels within 3 kilometres (2 miles) of the center of Chestermere is the Best Western Plus Chestermere Hotel. You could try the Hotel Le Germain Calgary and the Kensington Riverside Inn. 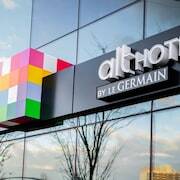 The Hotel Le Germain Calgary is situated 17 kilometres (11 miles) from downtown Chestermere. The Kensington Riverside Inn is situated 18 kilometres (11 miles) away. 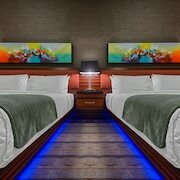 If you'd prefer, you could book a room at the Hotel Elan or the Best Western Plus Suites Downtown. After seeing Chestermere, schedule in a little time to discover the other attractions in the Southern Alberta area. Southern Alberta offers rivers. Popular Southern Alberta tourist sites are old towns and art museums. Popular activities in this part of Canada include snowboarding, skiing and cross-country skiing. Downtown Calgary is 17 kilometres (11 miles) to the west of Chestermere, and is home to the BMO Centre and CORE Shopping Centre. 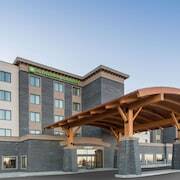 Some of our recommended Downtown Calgary hotels and accommodations are the Holiday Inn Express Hotel & Suites Calgary and Sheraton Suites Calgary Eau Claire. 17 kilometres (11 miles) to the west of Chestermere is Calgary, which is home to the International Hotel and Spa Calgary and Hotel Arts. If you stay in Calgary, don't miss Calgary Tower and the University of Calgary. Home to 7,000 people, Olds has most of the shopping, culture and transport you'd expect from a regional center. 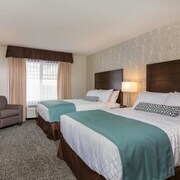 Olds is home to a number of great Expedia-listed accommodations, including the Pomeroy Inn & Suites at Olds and Ramada Olds. You will find Olds 85 kilometres (53 miles) to the north of Chestermere. If watching sport is what you love, head to Village Square Leisure Centre, which is 10 kilometres (6 miles) to the northwest of Chestermere. Stay nearby to the action at the Coast Plaza Hotel & Conference Centre or the Radisson Hotel & Conference Centre Calgary Airport. If you are flying into or out of Calgary International Airport and are looking to stay nearby, try Delta Hotels by Marriott Calgary Airport In-Terminal or Best Western Premier Freeport Inn & Suites. What are the most popular Chestermere hotels? Are there hotels in other cities near Chestermere? What other types of accommodations are available in Chestermere? Explore Chestermere with Expedia.ca’s Travel Guides to find the best flights, cars, holiday packages and more!